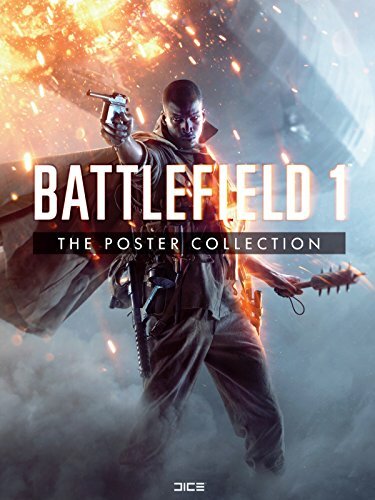 Dark Horse Books is proud to present Battlefield 1: The Poster Collection, compiling key scenes from the latest instalment in the series. As the Great War wages, heretofore inconceivable engines of destruction shake the ground and pierce the sky. Cavalries charge across the smoky landscape, legions of riders and beasts locked in a fierce new form of combat. This is the war to end wars. This is Battlefield. Visit the scenes of the history-shaping conflicts of World War I and examine the gear of some the 20th century's most intimidating soldiers. This sumptuous set of posters will thrill any fan of the series. DICE was founded in May 1992 in Växjö, Sweden by Ulf Mandorff, Olof Gustafsson, Fredrik Liliegren, Andreas Axelsson and Markus Nyström, members of the former demogroup The Silents. For an extended period of time, while the employees were also students at Växjö University, the company's office consisted of a small dorm room. During those days the company developed popular pinball games for the Amiga computers, such as Pinball Dreams (1992), Pinball Fantasies (1992) and Pinball Illusions (1995). The company moved to Gothenburg in 1994 where it was headquartered until 2005, when that office was merged with the ex-Refraction Games office in Stockholm.